Peer to peer lender Linked Finance has secured €50m in funding from Portugal's digital lender Banco BNI Europa. 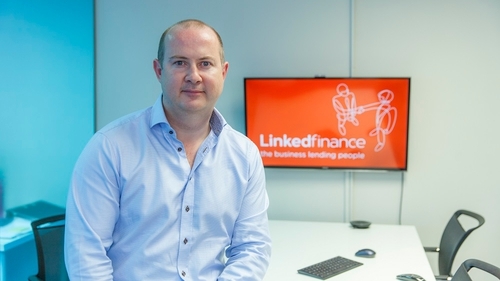 Linked Finance connects SMEs looking for credit with individuals offering their money and has an online lending community of more than 19,000 users. Banco BNI Europa is a digital bank and alternative lending investor that has partnered with alternative lending platforms across Europe since 2016, including peer to peer lending platforms in Germany, Belgium and Finland. Linked Finance said the new funds will allow it to immediately increase its lending to Irish SMEs. The company has already provided over 1,400 loans to Irish SMEs and had loaned over €59m to date. Companies that have raised funding include Viking Splash Tours, The Rolling Donut, Big Red Cloud, Lolly & Cooks, Murphy’s Ice Cream, Iconic Offices and the Irish Fairy Door Company. Niall Dorrian, the company's chief executive, said that Banco BNI Europa’s decision to deploy capital on the Linked Finance platform is great news for Irish SMEs. "It is yet more evidence of how the world is changing and through technology Linked Finance is making it easier for SMEs to borrow money," Mr Dorrian said. He said the deal complements the funding available from Linked Finance's existing users - ordinary members of the Irish public - who will continue to play a crucial role in helping it to fulfil its mission of "providing fast and affordable finance for Ireland's SME sector."